So you are looking for the best online poker games to make money? Believe me, I get it. While we all play poker for fun, everybody knows that poker is way more fun when it is a highly profitable side hobby or even a job as well. The best online poker games to make money are low stakes cash games. You can also make a lot of money from poker by playing formats besides no limit hold'em. 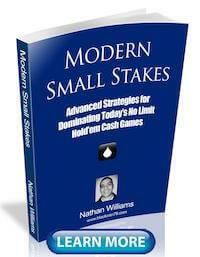 And the best poker games to make money will always be short handed. Let's dig into this a bit deeper though. As a 10+ year poker pro myself, mostly online, I am going to break down the best online poker games to make money in this article. I know it doesn't sound right. Play low stakes to make more money? But the reason why this statement is true is because the lower stakes is where you are going to find the worst poker players. And since poker is a game where your profit is a direct result of who you are playing against, you can do the math from there. So what do I mean by low stakes? Well in a cash game I am talking about stakes like NL2, NL5 or NL10 online. This refers to 1c/2c blinds, 2c/5c blinds and 5c/10c blinds respectively. I am pretty much always playing low stakes poker even to this day because the games are much easier to beat! 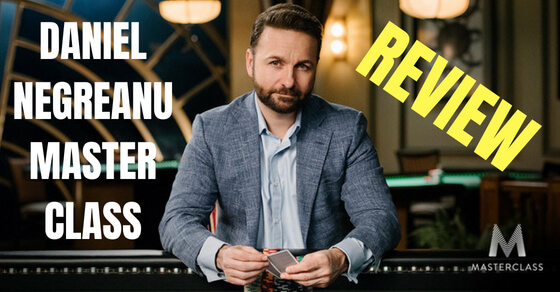 If you play live poker in a casino then you will usually find the $1/$2 blinds and $2/$5 blind games to be approximately around the same skill level as these online games. If you play tournaments then by low stakes I am talking about buyins of up to about $10 online and up to around $100 live. Now I need to mention that if you are a highly advanced poker player there is no need to start off in games this low. But then again, you probably aren't reading this article anyways because you already make tons of money from poker! So for the vast majority of people this is why I suggest playing low stakes. 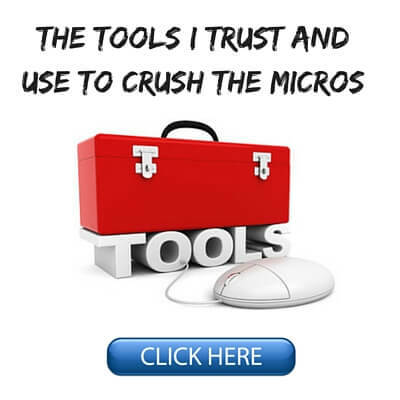 Play against the worst players and you will find it way easier to make money from poker. Now for some of you tournament players out here you might not want to hear this. But if making money is the goal in poker, especially consistent money, then cash games are king. The main problem with tournaments is that you have to beat massive fields in order to win any significant kind of money. In fact, most tournaments are so top heavy that if you don't make the final table then it is basically a waste of your time. Cash games on the other hand provide much more consistent wins. Most good players at the lower stakes for example should walk away with a profit on most days. 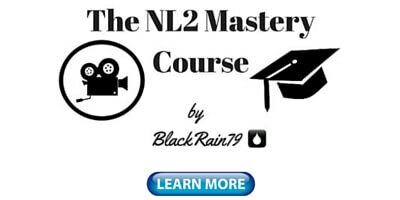 And at the very lowest stakes like NL2 online or $1/$2 online it is not uncommon to see very good winning players with a poker winning percentage above 80%. People often ask me why I played so many millions of hands at the lowest stakes. It is because I literally almost never lose! But if you are playing big time volume like I do there is only so many times they can get lucky against you. You simply can't fight math in poker and expect to win over the long run! Now, I am not saying this is the best strategy or the most optimal strategy since you will always make more money in poker by moving up, but let's face it, winning is fun. It is also the whole point of the game. This is completely impossible in tournaments. 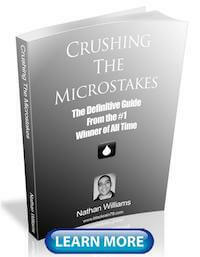 While the payouts are huge when you finally do win one, most people will go weeks or months in between big wins. This can be tough psychologically for a lot of newer poker players as well. So the best online poker games to make money in my opinion are definitely cash games. Now another key thing if you want to make money from online poker is to get away from the games that everybody already plays and has mastered. This is hard for me to say since I teach No Limit Hold'em in 99% of everything that I put out here on this blog, in my books and my YouTube videos, but it is true. The biggest thing with these games is that the average skill level of the regs will be far lower than you will find in a No Limit Hold'em game. And that is because so few people really study these games a lot. So with just a little bit of work you can often become the dominant player in these games. This is much harder to do in No Limit Hold'em because there is much more competition. The last bit of advice I have for you in order to find the best online poker games to make money can be a real game changer. And that is to play short handed. What do I mean by short handed poker? I mean when there are far fewer than the traditional 9 or 10 players like you see in most casino games. I am talking 6 or less. And the ultimate best online poker game to make money is heads up (1 on 1). The reason why this is the case is because at large tables full of people everybody just plays tight and waits for really good hands. However, when there are less players at the tables everyone always thinks everybody is trying to bluff them so they play looser. Many recreational players also prefer short handed games because it means they get to play more hands and get involved in the action more often, which is precisely why they play poker. Your average fish doesn't want to sit around waiting for 9 other people to act before he gets to play his hand. No, he craves the speed and action of short handed poker! So fish love to sit in games with 3 or 4 people or even heads up. And therefore, so do I! One of my absolute favorite ways to find the bad poker players is to just go online and look for 6max or full ring tables that are significantly less then full. I often look for 3 or 4 players. I just sit down in these games (any random table) and I would say that at least 50% of the time at low stakes there will be a huge fish already sitting there. What's even better is that I can often change seats to get direct position on the fish, because of course, there are tons of empty seats! 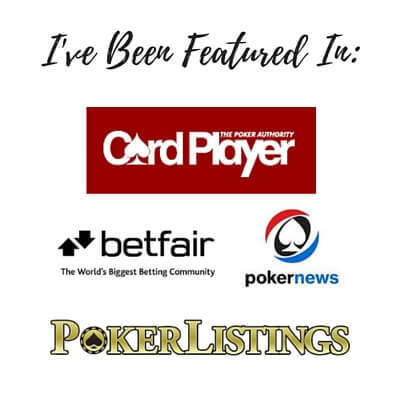 Compare this to your regular online poker player who goes on wait lists like everybody else just to play at a table with a bunch of other tight players. You don't make money from poker like this! 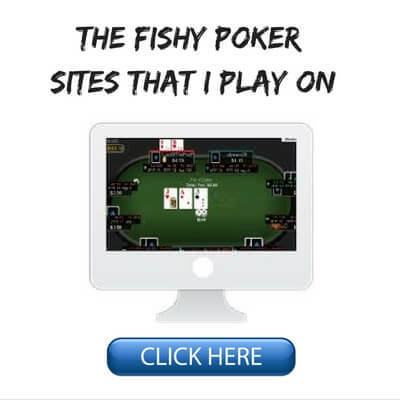 The best online poker games to make money from are the ones with the fish in them. If you want to give yourself a way, way better chance of finding the fish fast go play in the games they love the most. Sit down at short handed tables or even just play heads up. So what are the best online poker games to make money these days? Well I think that low stakes games are always going to be the best way to make money from poker because these are the games that have the most bad players play in them. Also, I would suggest choosing cash games over tournaments because the money is just a lot more consistent in them. It's ok to play tourneys on the side (I do it all the time), but my bread and butter profit source from poker is cash games. Furthermore, if you want to make a lot of money from poker I would highly suggest learning a few other lesser known games like Omaha, Stud or Chinese Poker. Most players in these games are really bad. 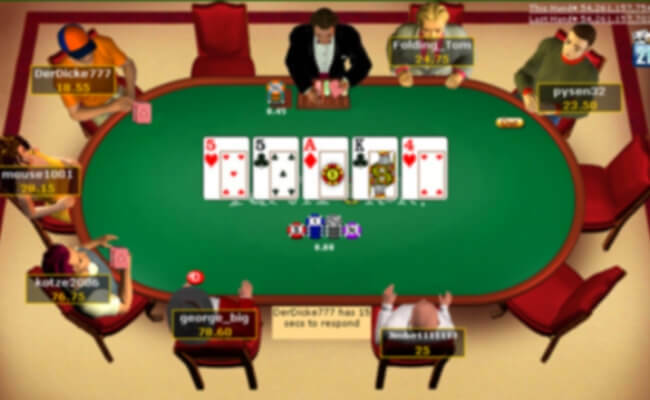 Lastly, the best online poker games to make money will always be short handed games of ideally 4 or less players. And the reason why is because fish love to play in these games and gamble it up. 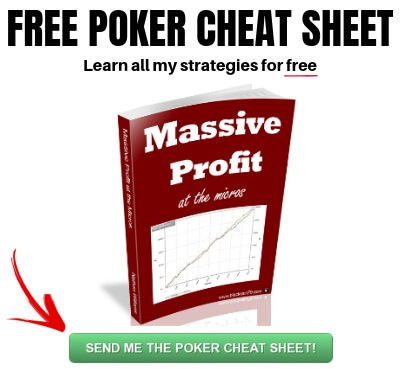 If you want to know how I make money from poker as a 10+ year poker pro, make sure you download a copy of my free poker cheat sheet. Let me know what you think are the best online poker games to make money in the comments below. they been limiting regular cash tables on the site, i believe each account is only limited to 6 tables (ie 888 poker), but i dont have a HUD to play fast poker. Is HUD a necessary? Hand2Note is free for the micros. Hope all is good. I am recently switched over to PLO and following the course of JNandez. Playing at PS and studies the game. I start at 0.10 and I am continue to play at PS for now to improve my game. While I recommend playing other formats besides NLHE, I don't consider myself to be an expert on any of them. So my advice to you would be to ask somebody who is an expert on PLO. Could you make an article on how to play on tables with 2, 3 players? Yes, there's a lot of fish there, but also there are some sharks (who I've got history on full ring tables) also hunting fish there. Also, as soon as you write this article, I suspect lots of regs will start to go there to hunt fish too. Hey LoL, sure I will make a note and perhaps write that article in the future. And yes, you are right. You have to always stay ahead of the curve in poker because once everybody finds out a certain poker room or game has lots of fish, it won't have them for long. Hi Nathan! I'm a fan from Argentina. I earn 100 USD in a Week, I expect to continue in this run. Nice results, keep it up! PokerStars have changed their rakeback program frequently in recent years but essentially Starscoin can be used to purchase cash rebates, tournament tickets and more. you do not recommend 888 Poker anymore? I do still recommend 888 poker. I just took it down briefly because my affiliate is working out a new deal with them or something. It will be back up again soon. When it comes to PS the tables that are the most full have the highest VPIP. Is it not best to play full ring then? Some full tables have like 40-50% VPIP. I personally don't pay much attention to table averages. I am looking specifically for recreational players (VPIP 40%+). You can find these players in either 6max or full ring. Do you find these players using a HUD while spectating games? You just sit down at a table with empty seats and unknown players, and after a few orbits you will see, if there is a fish at the table. If no you leave. If yes you tag him, so you can find him in the lobby next time. So basically a trial and error approach. New tables starting up will almost always have a higher ratio of bad players, because tables running for a longer time is filled from the waiting list, and bad players almost never go on waiting lists. About playing short handed its easier said then done on PokerStars, since any table with empty seats will tend to fill up relatively quickly. But that being said I completely agree, it is much better to get on starting tables or even start them yourself, than to join waiting lists. At PokerStars you sometimes see “good” tables with 15 players waiting to join, and its just laughable. At the time guy number 15 gets to join, it will be a completely different table from the one, he put himself on the list for.